Zink teams up with Pandigital to unveil an array of imaging products leveraging Zink Imaging’s award Zero Ink Printing Technology. This collaboration has resulted into the emergence of their first product that claims to be the world’s first ever Zero Ink 4×6-inch printer. Zink Technology brings to Pandigital a new technological platform to enable a new generation of devices which are compact in size, easy-to-use, as well as eco-friendly. These products will be powered by patented Zink Paper. The Zink Paper is an advanced composite material integrated with yellow, magenta, and cyan dye crystals. Using heat, Zink devices activate and colorize these crystals, providing an easier printing process. The Pandigital Portable Photo Printer negates the requirement of ink cartridges or ribbons and outs borderless full-color 4×6-inch prints. Users can carry it along virtually anywhere as it does not require a PC. The device features a memory card slot, a preview LCD, and an intuitive user interface. Pandigital being the newest partner of Zink Imaging, it represents the further expansion of Zink business and technology ecosystem. 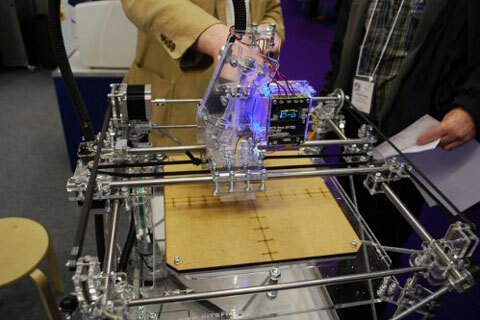 Hewlett-Packard is going to enter the consumer market of 3D-printers. So far, devices capable of making 3-dimentional objects from plastic and other materials remained the product for better-off developers, designers and architects. HP is aiming for a wider share of professionals. While the HP’s machines are not cheap either – the price tag is around $15,000 – it’s a giant step forward. According to the technical director of medical 3D-srtuctures, Bespoke Innovations, Scott Summit, 3D-printers are in high demand, however most potential customers consider them a whole another world. Stratasys, a company majoring in 3D-printer field, is announced as the manufacturer of the devices for HP. Taking into account the conventional high price of the devices, in recent years many enthusiasts have worked over own versions on affordable 3D-printers. For instance, the Makerbot, launched into market last April, cost merely $750 for the basic set of three engines NEMA 17, self-assembly components, electronic parts and an extruder for objects shaping. The senior version is a little more expensive – $950. Of course, the HP-Stratasys devices will not be price so low, as they are designed for customers from car and space industries. Companies are not revealing the price range yet, but the mentioned $15,000 is based on the currently selling office printer by Stratasys. From our new business location we can offer even more competitive prices! Residents of Californians don’t have to pay almost 10% sales tax anymore. 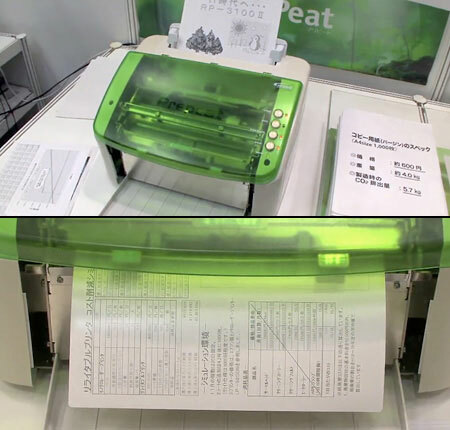 PrePeat is a rewritable printer that requires neither ink, nor toner to print. This device can print and erase images and text using a specific thermal process combines with special plastic paper. So, one sheet of papers can be used several times to print inrofmation on it, just like a rewritable CD or DVD. However, if you think this printer is perfect, you are wrong. The major drawback is its price tag — the device costs over $5,000. And the paper is not cheap either — $3,300 per a 1,000-sheet pack. No need to say, this printer will never pay off in home use; small offices, too, are not the target audience. But the technology enthusiasts will defenitely appreciate PrePeat. 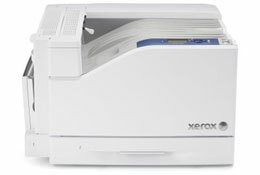 Xerox printing machines has developed considerably since it first appeared. Apart from classical laser printing devices, the world has seen solid-ink and LED-machines. The printing quality’s gone up, the devices have become more available, the maintenance’s got easier, but most exciting fact is that along with the increased reliability of printing mechanisms, the ownership cost and cost-per-page have shrunk. As new printing technologies are introduced, the quality of prints logically changes for the better. Today many manufacturers offer high-quality office color printing devices at reasonable price. And this is no surprise: where home user ignores a slightly higher cartridge price or smaller yield, company office manager chooses different device. Taking into account the tense competition on the market of office A3 color printers and ever-growing requirements for these devices, Xerox introduced a new model of Phaser series – 7500. A characteristic feature of this model is the Xerox’s new implemented printing technology — HiQ LED. Simnply put, this is an upgrade of the traditional LED technology credited as solid and cheap alternative to lasers. The idea behind the new technology is to save all the pros of LED technology, which allows LED-printer to be as cheap as lasers, and combine them with laser printing quality. So, a HiQ LED device would cost same money as its LED counterpart, but printing quality would be as high as that of laser printers. Generally, the printer of this class all same vey much the same look. The output tray is located at the top. Two input trays: the main and the supplemental. The 7500 model has 4 modifications. The most basic model ends with ‘N’, indicating the device can be connected into network. The other three end with ‘DN’, ‘DT’ and ‘DX’ and are worth a closer examination. DN is a compromise between the price and the functionality. The only difference from the N model is duplex-printing unit. Since printers like that are usually seen in middle-sized offices, automatic two-sided printing can provide a lot wider possibilities for printing and saving, and the price tag would easily fit the budget. The remaining two models show more interesting features. DT and DX are equipped with additional input trays (DT can hold up to 100 sheets, while DX has enough trays for 2100 sheets). The senior, DX model is a floor-standing printer that sports an 80 GB hard drive. Wi-Fi adapter is not supported by any of the models, so if you should think of wireless connectivity beforehand. An office printer is about speed of printing. If a device does not meet the claimed specification, it won’t be ordered despite all its usability. So, the first test we conducted was the print-out of 10 copies of single-page PDF-file. Expectedly, the monochrome printing speed fully corresponds to info on the site. However, as soon as we moved to printing out a weighty 8-page color presentation, the printing speed dropped down to 33 pages per minute. But one should remember that when it comes to printing documents with graphics, the result may vary depending on the complexity of the document. In general, the eye-catching fact is there’s virtually no delay before the first page is printed. To assess the printing quality, we used a PDF-template with a bright yellow red flower, a portrait, four color gradients (cyan, magenta, yellow, key color) and a table of typefaces ranging from 12 to 1 point in size. Doubled attention was paid to gradient printing, as a A3 printer of this class is likely to be used for printing high quality graphics. The quality of gradient reproduction left no doubts; each step was reproduced clearly and flawlessly. The red color in the flower image showed no gradients. Small-sized typefaces were not a problem for this printer, the text remained readable even for 1.5 size. High quality of printing of fine details betrays a really professional device. Printing quality of Phaser 7500 compared to laser color printer of same price level is very much the same, or even better in some cases. Another important factor of office printer is the duty cycle and cost-per-page. At this point, the manufacturer notes that Xerox Phaser 7500 cartridges are full cartridges, and not the starter edition. If you want more savings, there are higher yield toner cartridges: the black cartridge for 19,800 impressions at 5% average coverage, while color toner cartridges are enough to last 17,800 pages each. This is a really good figure for such toner. Those who ever stumbled upon the maintenance of performance laser printer know well how much a new fuser or transport belt cost. Often, it costs half a printer to replace all those parts. The Phaser 7500 has the parts duty cycle of 80,000 copies. It’s a good new, taking into account the standard duty cycle of this printer class – 50,000 copies. If one was to draw a conclusion for Phaser 7500, he would be very optimistic about this printer. The essentials of a machine like that are quality, speed and cost. Any of these factors is equally important, and the Xerox Phaser 7500 has all the factors accounted. This small button has enough power to make anoter purchase much easier for regular shoppers. As we know, inks and toners have a disgusting habit of ending, often suddenly. And we have to buy them over and over again, so it may even become a routine. Well, buying a cartridge or two (or three or four) is not a brain surgery, nonetheless this is where our small button comes in handy. Let’s assume you placing an order of two, three or several printer supplies — ok, even one cartridge will do for our example. You fill in your billing and shipping information, complete the checkout and receive your parcel some day later. You are now a happy owner of cartridges, which you easily forget about a minute later. Unitl you need replacement cartridges again. Recently, you’d have you go through the whole shopping and checkout prosess to get your supplies. Now you don’t. On the order details page, press the Repeat This Order button to automatically add the cartridge and go to order preview page. By default, the selected order’s content as well as billing and shipping information will be used. You can change them here, on the order preview page. Finally, click Complete Checout and here you go, the order is placed! Register with Toner Cartridge Depot to enjoy the benefits of fast reordering.